Said argues that the Western (especially American) understanding of the Middle East as a place full of villains and terrorists ruled by Islamic fundamentalism produces a deeply distorted image of the diversity and complexity of millions of Arab peoples. 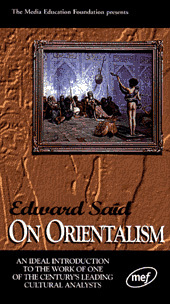 He unearths the intellectual roots of 'orientalism' in the history of imperial conquest stemming back to the 18th century. Looking ahead to the 21st century, he argues that it is this legacy of 'difference' and mistrust that must be overcome if conflict, discord and violence are not to be humanity's permanent future.